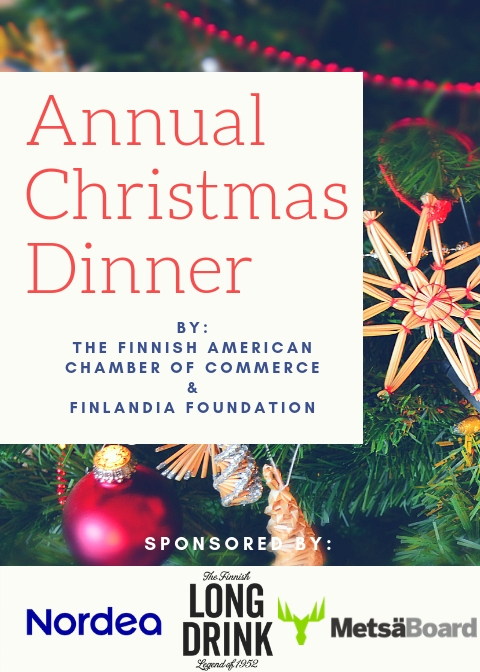 We will be hosting the After Work event with the Finnish American Chamber of Commerce - New York and Finlandia Foundation New York! Anyone who wishes to stay for dinner will receive 25% off their final bill. 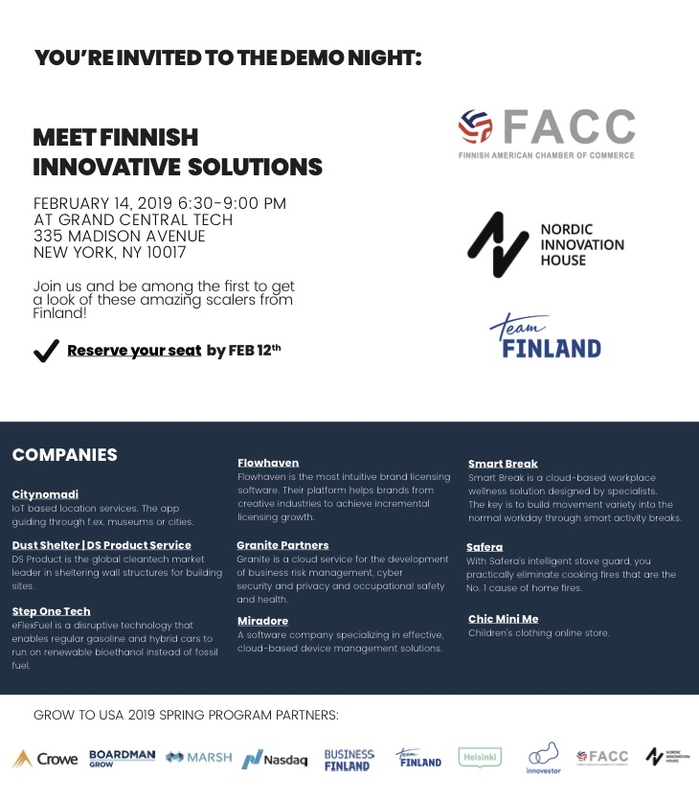 The European-American Chamber of Commerce (EACC) invites you to an exclusive pitch night with the most innovative and cutting-edge European startups in Real Estate and Prop Tech! This unique gathering of tech enthusiasts, investors and entrepreneurs will take place at Gateway, SACCNY's office and innovation platform on April 2. Make sure to RSVP as soon as possible as tickets are limited! If you are a member of one of the European Chambers of Commerce, please make sure to select the respective Chamber upon check-out. 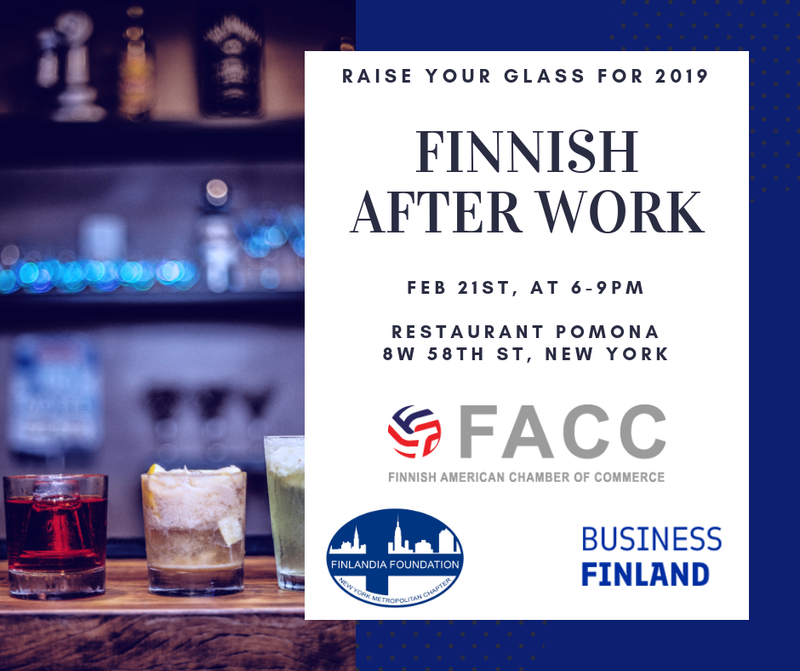 We will be hosting the first After Work event of 2019 with the Finnish American Chamber of Commerce - New York Consulate General of Finland in New York and Finlandia Foundation New York! 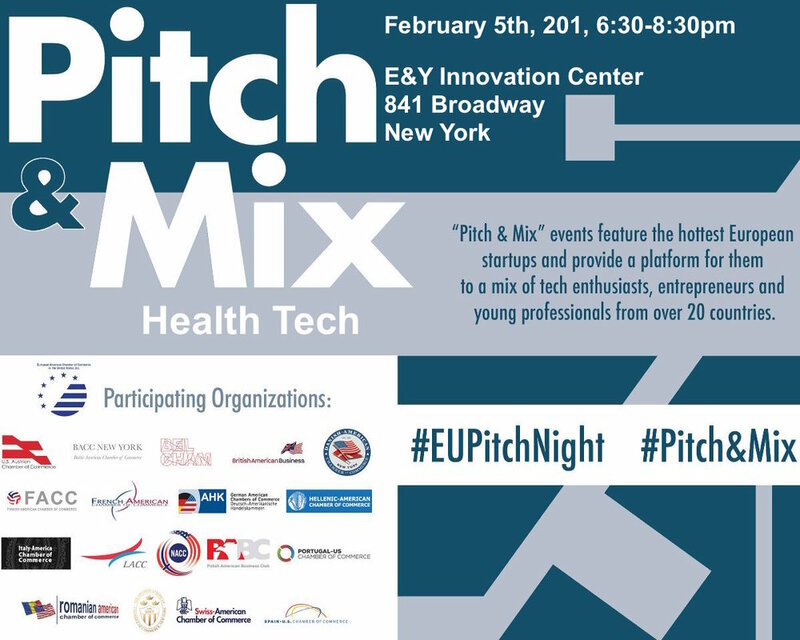 Join us for the first European Pitch Night: Pitch&Mix event of the year, hosted by the European-American Chambers of Commerce! Six of the hottest European health tech startups will pitch and showcase their latest advances. Learn about how they are changing the healthcare landscape experience and the future of European innovation. 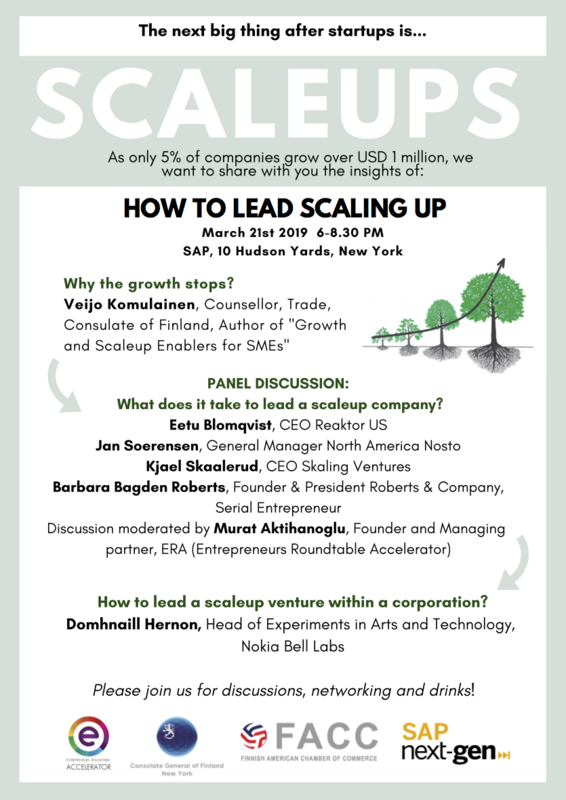 Held at the New York City, EY Innovation Center near Union Square, these European startup pitches will be followed by an audience vote and a networking reception with tech enthusiasts, entrepreneurs, and investors, among others. How are tech and the Internet of Things (IoT) changing the retail industry? 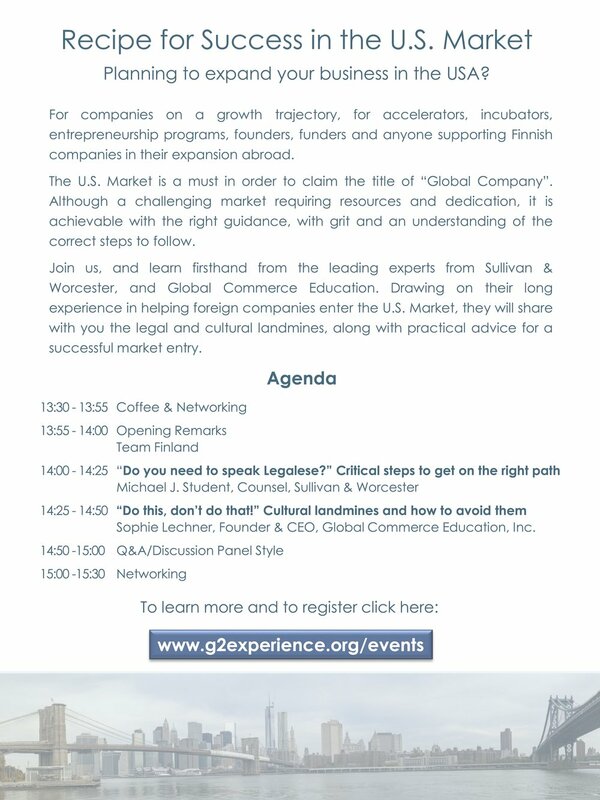 In collaboration with the European-American Chambers of Commerce, we have the pleasure of inviting you to an exclusive evening where some of the most innovative and cutting-edge European startups will pitch their ideas, visions, and trends regarding Retail-Tech. This networking event allows pitchers, investors, and other professionals to mingle, spark conversations, and forge new connections in a truly unique setting located on the 42nd floor. the many fantastic initiatives emerging from the EU tech scene right now and connect such efforts to the broad international network we have here in NYC. Companies are provided with a platform to pitch and showcase their latest advances to a mix of tech enthusiasts, entrepreneurs, and young professionals from over 20 countries. 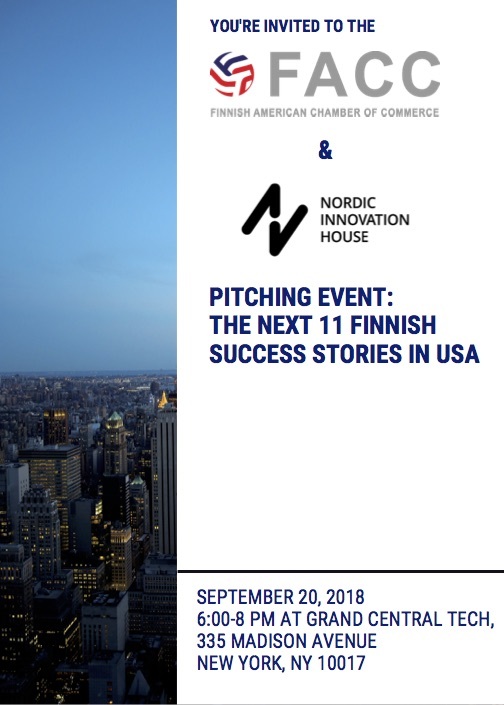 Join EACC and the Finnish American Chamber of Commerce on September 12, 2018, for an interactive and exciting event where we explore the newest Retail-Tech landscape and its future! 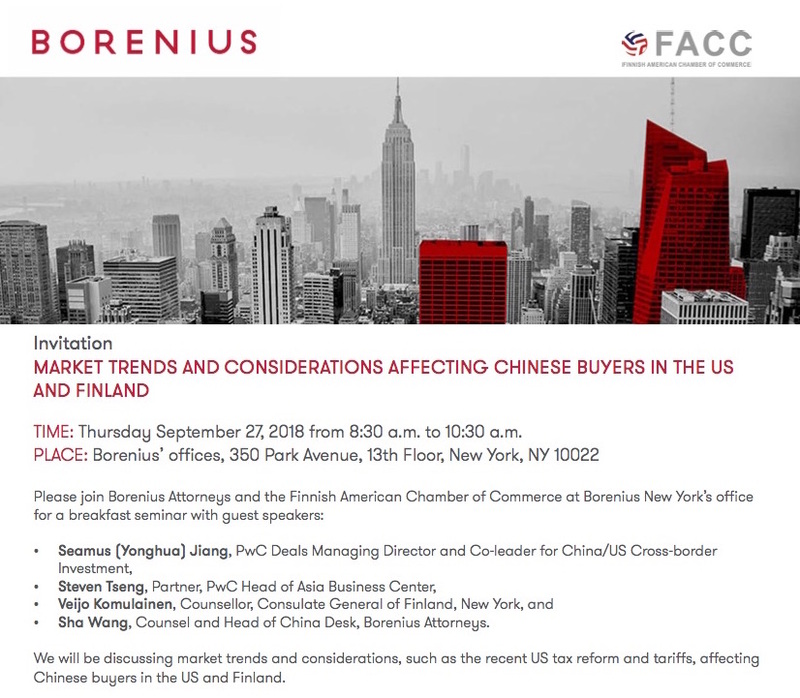 By popular demand, we will be hosting After Work #3 "Pre-Vappu" event with the Finnish American Chamber of Commerce - New York, Consulate General of Finland in New York and Finlandia Foundation New York! 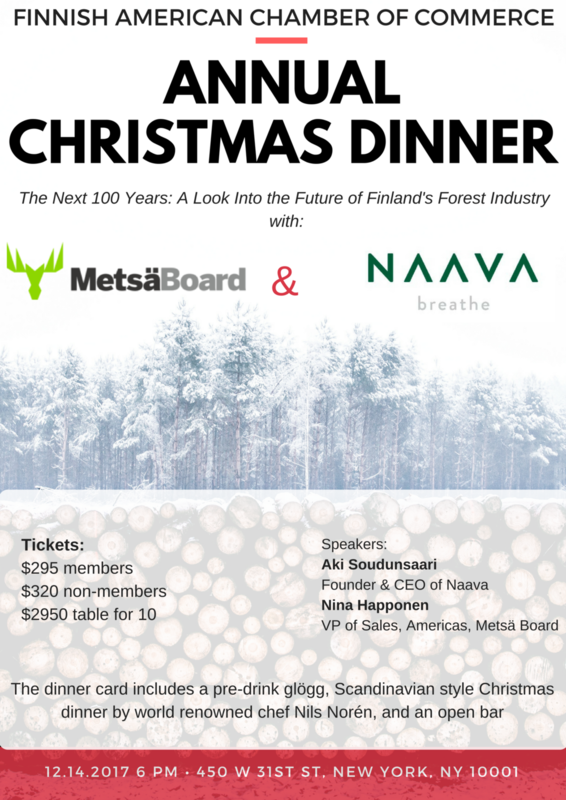 We are incredibly excited to partner with the Nordic Chambers and invite you to join us for a speaker luncheon featuring the CEO of Nordea Bank, Casper von Koskull. Join us after work for drinks and networking. 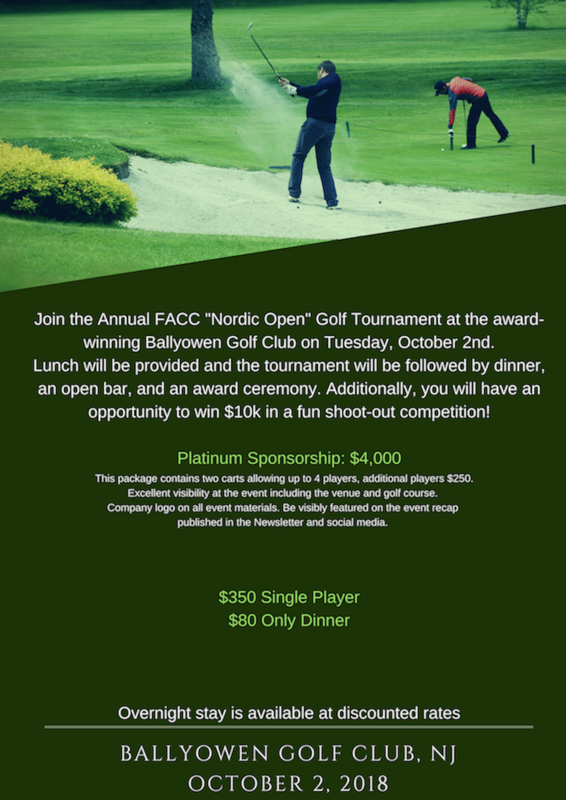 The 2017 Nordic Golf Event hosted by the Finnish American Chamber of Commerce in New York is an excellent opportunity to invite employees, customers, and other business contacts to spend a relaxing and rewarding day in a beautiful golf venue at Ballyowen Golf Club, New Jersey. Interested in being an event sponsor? Please contact us for more information. 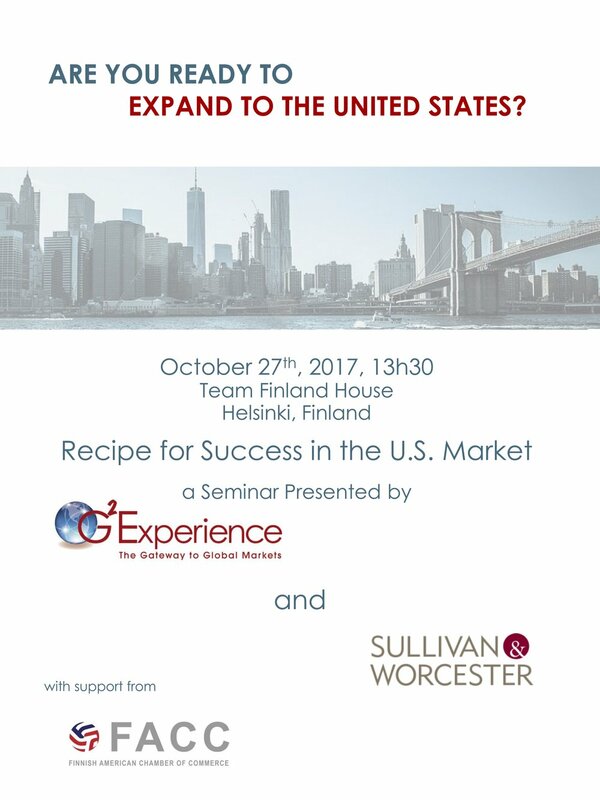 Finland is celebrating its 100th year of independence in New York in September. FACC, FTDA and FFNY welcomes you to join the celebrations! If you are not a member but would like to hear more about the FACC membership, please send an email to marko.salonen@facc-ny.com.